The most amazing thing is for Nigerians to see their favourite entertainers supporting the same football club they support. TimiThe Nigerian music vocalist is a die hard Arsenal fan. His tweets and pictures wearing the team’s kit says it all. He jokingly said he was training his son to become world most expensive player and also win Balon D’Or while playing for Arsenal. 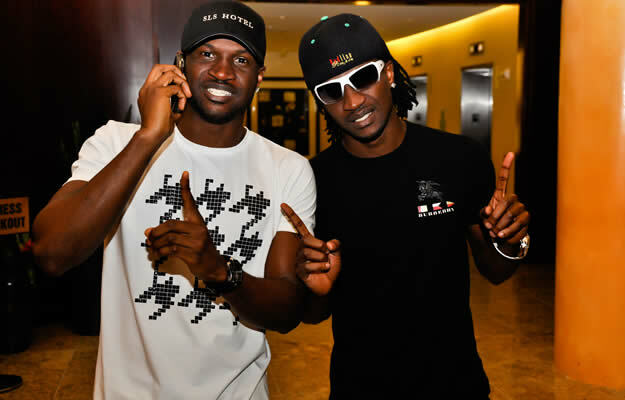 Psquare The music twins are known for their pictorial obsession with these football club’s players. Most especially, they’ve had their share in featuring in a photo session with all the Nigerian players that have ever played for Chelsea. Davido He sang the name of a former Manchester United player who is currently a player in Madrid in his song. But this isn’t a reason for him to shy away from acknowledging his admiration for Chelsea FC. Arsenal have always had a soft spot for soft tone fans. They’re basically seen has a football club for soft Ajebutters. Banky in either ways, qualifies to be seen as ajebutter and also as an Arsenal fan. JazzyThe Nigerian mega music boss is a die hard Manchester United fan. He’s known for his regular tweets of the recent happenings in Manchester dressing room. Lol. That was the funniest joke I’ve heard this year! M.I The Nigerian rapper sometimes ago, tweeted that his love for Arsenal football club is unending. Just like his love for rap, same it is for Arsenal FC. Flavour This the first ever top Nigerian musician to bodly speak of his love for an Italian football club. Despite the current downfall of the Italian giant in their league, the Nigerian singer is unfazed with his young boy club. But has found himself loving everything about Chelsea. Cuppy Sadly, the billionaire’s daughter and a DJ was a Chelsea fan. She acknowledged that both Wenger and Jose Mourinho manages a team that plays a kind of football that can make any lady wet by just watching. She immediately swapped from Chelsea to Arsenal, making Manchester United her crush. Olamide has an obsessive love for football and Barcelona. I don’t think he misses any of their matches. The Nigerian rapper flaunts the internet each time Barcelona has a football match to play. Teckno Pana crooner is a red devil. He flooded the internet with his well fitted Manchester United Home Jersey once and of course, had a pack loads of comments and reactions from fans. 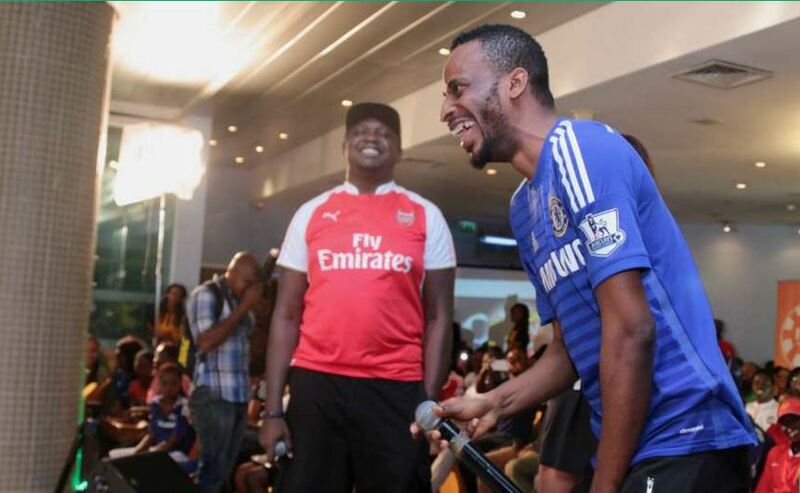 9ice The Nigerian singer, 9ice is a Chelsea fan and he has blue blood running in his veins. His tweets about the club is always magnificent. Tosyn Never seen a female entertainer with such passion for football. She usually gives sport commentary on her blog. She gets really furious when Manchester United loses a match and you can always sense a change in her countenance. Neptune Following his heart and desires for entertaining football, Neptune opted for Barcelona because of his love for Lionel Messi. The Argentine has been his star player for years and will continue to be, in as much as he’s in Barcelona. Chee She has a very strong love for Manchester United. This love seems inseparable. She tweets about Manchester every time and has won the heart of many Manchester United Nigerian fans already. Rugged A United and a football core fan. Follows every bit of football and around the world. Tweets a lot about Manchester United and I think, he’s obsessed with the club. Sim iWith her seeming little voice and huge flare for football, Simi is a strong supporter of Manchester United.